One of the things we are so excited about at Big Green Switch is having the ability to help businesses in the UK tap into an endless supply of free energy from the sun. Not only does this significantly cut operating costs, but it also helps to reduce carbon emissions. This helps us all keep with the Government’s Green Deal. What is even more exciting is that there are two very unique ways in which solar energy can benefit homes and businesses. That is through Solar PV and Solar Thermal. Both use free solar energy but in very different ways. 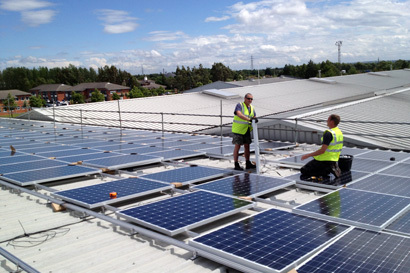 Businesses working in all different industries can benefit from Solar PV (Solar Photovoltaics). This is the method by which the sun’s energy is captured and transformed into electricity. With solar panels facing south, much of a company’s electric can be produced right on site without the expensive middle-man of an independent energy provider. Any energy that is not utilised can be fed back into the grid. Your business will be compensated for the energy you add. It’s a win-win situation! Solar Thermal, on the other hand, directly uses energy from the sun to generate thermal energy. Not only can solar thermal be used to heat water, but it can be used to power cooling systems in your property as well. For enterprises that use a lot of hot water, this can provide massive savings over the course of a year – money that can be better spent elsewhere. So what is the difference? Basically, Solar PV converts solar energy to electricity whilst Solar Thermal is a more direct process that produces heat. Big Green Switch has both Solar PV and Solar Thermal solutions that can work in conjunction with each other or independently. If you are tired of high electricity bills and would like to learn more about how solar energy can benefit your home or business, ask for a free consultation with one of our energy specialists. We can provide you with specialist information about how to create your own eco-friendly energy from natural resources. 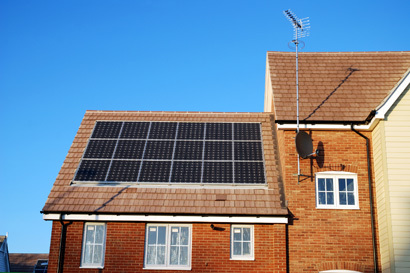 There is a way to save a huge portion of your energy costs and we can show you how to do it. Give us a call today and let us help you make the Big Green Switch.